The U.S. House Appropriations Committee approved the hiring of 100 new immigration judges today in the 2019 Commerce, Justice, Science Appropriations Bill. 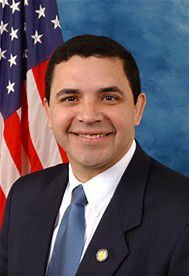 U.S. Rep. Henry Cuellar, D-Laredo, pushed to include language in the bill for funding the hiring of judges, support staff, technology and work space. Cuellar stated in a news release that this will increase the efficiency of the nation’s immigration courts, which currently face a backlog of more than a half-a-million cases. The funds will go into effect Oct. 1 of this year, when fiscal year 2019 begins. In addition to allocating funds to hire immigration judges, who oversee removal proceedings for immigrants in the U.S. illegally and ultimately decide on deportation, the 2019 CJS Appropriations Bill would increase immigration court efficiency by modifying the current procedure to allow judges to issue oral decisions rather than written ones. The bill also encourages immigration judges to use preliminary hearings to screen cases, avoiding what Cuellar calls “frivolous filings” that delay proceedings. The border representative secured funding in March of this fiscal year for the same number of immigration judges, bringing the nation’s total to 484 once all are hired. That number may jump to 584 in fiscal year 2019 should the the Appropriations Committee, the House and Senate approve the inclusion of an additional 100 judges to the final Appropriations bill. “Currently, due in part to the lack of available judges, immigrants at the border are either detained for long periods of time or released into the United States with a promise to return at a later court date,” Cuellar said in the release. The story was changed to reflect that the U.S. House Appropriations Committee approved the hiring of 100 new immigration judges.